The Open Ocean Trustee Implementation Group held its annual public meeting via an interactive webinar on November 14, 2018. During the meeting, we presented updates on the Open Ocean Restoration Area’s early restoration projects, first and second restoration plans, and monitoring and adaptive management activities. The presentation was followed by a 45 minute question and answer period where attendees’ questions were answered by Trustee staff. The webinar presentation and script, and question and answer transcripts are now available below. Stay tuned for more Open Ocean Restoration Area activities in the future. 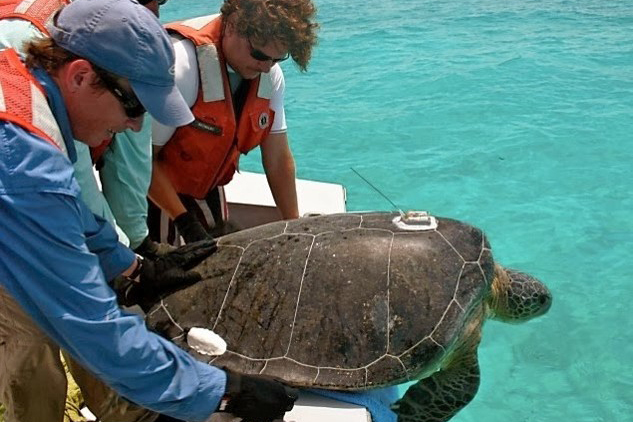 These will include a final Restoration Plan 1 for birds and sturgeon, kick off of the 2019 season of Oceanic Fish Restoration Project, and release of the Draft Restoration Plan 2 for fish, mesophotic and deep benthic communities, sea turtles and marine mammals.